Ha ha! I saw that, and I think every teenager I know suffers from this condition. :) But, when I was a teenager, I remember reading an article about how the amount of mirrors you had in your bedroom was a sign of your self-esteem. The fewer the mirrors, the higher the self worth. I do think there's something to that, and I think that selfies are the new mirror. I know my teen takes a photo of herself when she is worried about how she looks instead of looking for a mirror. As for those who post excessive selfies online? I do think that might be linked to narcissism or some other mental disorder. 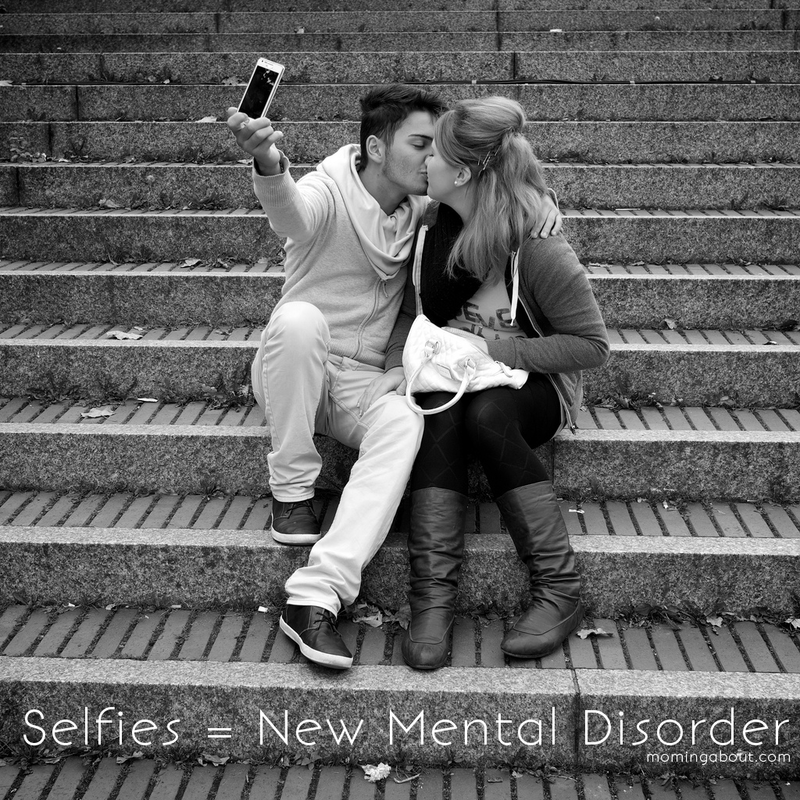 Like you said, the selfies can't possibly be a disorder in and of themselves ,but they could certainly be a symptom of another mental illness/disorder. LOL. Yes to the teenager thing. I think selfies are trendy/trending, so I don't know if this is 100% correct. Teens especially like to follow the crowd and do what's "cool". We need to stop labeling EVERYTHING as a mental disorder. I think people with lower self esteem are more likely to post selfie after selfie, but that's not indicative of a mental disorder. As a society, we are so quick to blame someone or something and not take responsibility for our actions. "But I can't stop taking selfies because it's a mental disorder now!" "Sorry, boss man. I can't come to work today because I just have to take a selfie and read the comments telling me how beautiful I am!" I'm bitter because SPD didn't make it in the DSM-IV, and I have watched my son suffer for 8 years without treatment. Cari you lost me at SPD and DSM-IV. I'm not sure if I should google it or not. A mental disorder...no, just an obsession with self.